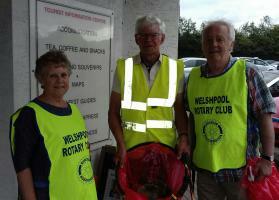 Rotary Club of Welshpool - welcome! Please scroll/swipe down through this page to find out more about us, in addition to the pages linked in the menu, top-left. 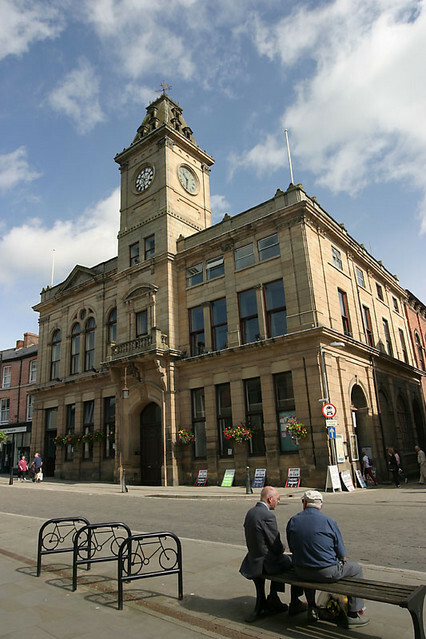 The beautiful market town of Welshpool, is situated in the heart of Rural Mid-Wales. 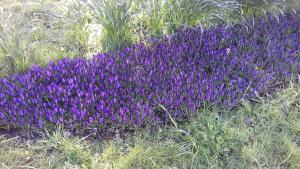 Why not visit Welshpool, the Historic Powis Castle, nearby Montgomery Castle and also the unique steam railway and Montgomeryshire Canal. 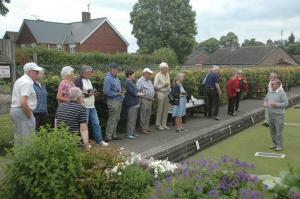 Rotarians, why not visit our club every Wednesday and join in our fellowship. 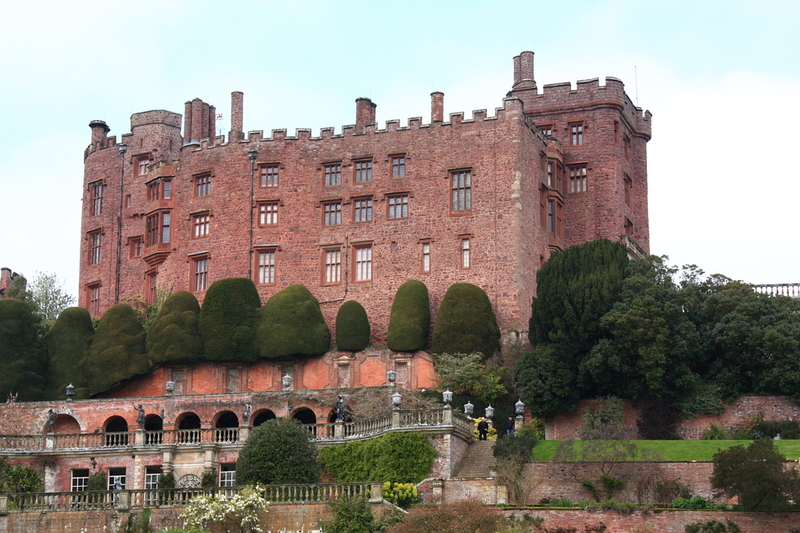 Powis Castle in Welshpool has wonderful terraced gardens and also houses the Clive of India museum. It was built around 1200 by Welsh princes and has since been occupied by generations of Herberts and Clives. Most of the great Welsh castles were allowed to decay after the medieval wars ended, but Powis has survived due to continual occupation. Rotary International in Great Britain and Ireland and Rotary Clubs of District 1180 (“we”) promise to respect the confidentiality of any personal data you share with us and we will always take every effort to protect your privacy. This privacy statement explains how this Rotary Club will use any personal information we collect about you for any events and competitions, or from membership of the club - received online or offline, as well as in any electronic, written or oral communications. We collect information about you when you make an application. The information we collect about you can include your name, address, email address, phone number, date of birth (if relevant) any pertinent medical information and contact information for next of kin if relevant. We collect information about you to ensure the smooth running of any event and for welfare reasons. This may include creating a record in your name on our event/competition system to record your relevant information and track payment of entry fee or any sponsorship money. Where applicable, and as instructed by you as part of the donation process, we use your personal information to report your donation to HM Revenue and Customs (HMRC) for Gift Aid collection. The club organiser will hold and maintain the date for the smooth running of any event. Information will only be shared with those that “need to know” the information at the appropriate time. We want to ensure that your personal information is accurate and up to date. Please contact us to correct any information you think is inaccurate. You can also contact us to remove/delete your details and records. The information will only be retained safely for as long as is necessary. Any Gift Aid information will be held in accordance with the HM Revenue and Customs (HMRC) guidelines for financial records and auditing purposes and for as long as required to administer your donations and any subsequent queries. We will not sell, trade or share your personal information with non-Rotary third parties nor will we send you mailings on behalf of other unrelated organisations. We will keep our privacy statement under regular review.